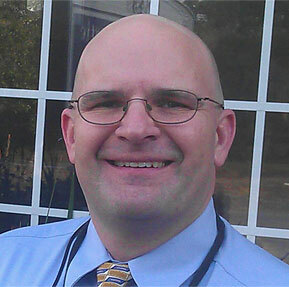 Living and being a dentist in James Island, SC, is a tremendous blessing. We are surrounded by beautiful ocean and marsh scenery, and are fortunate to practice dental medicine with some of the friendliest patients. But there are also unique hazards facing Lowcountry residents around Charleston—including distinctive dental challenges. But sharks, alligators, and venomous snakes aside, James Island can be a very dangerous place for your health. The south is one of the most prevalent places for heart disease and stroke, across the nation. Those health issues also have direct ties to dental health. Being a dentist in James Island, SC, I often see issues with tooth decay that are directly related to the foods that are popular in the south, and issues with our overall health habits. In 2014, the CDC released findings from a major study, which concluded that people living in the southern US had shorter, sicker lifespans than people in the rest of the country. Most especially, this affects those who live in (what they termed) “the poverty belt.” And yes, South Carolina is in the poverty belt. This means that folks in our state are facing increased health risks. This increased quantity and severity of health problems faces approximately one in three people in the poorer states across the south, which also translates to SC residents. Some of this comes from the types of foods we love here in the south. The people who said they ate foods such as fried chicken and fried potatoes, processed meats and salty greens nearly every day were about 30 percent more likely to have a stroke than people who rarely consumed these foods. Those types of foods are also wreaking havoc on their teeth. To ask a Southerner to give up fried foods and sweet tea is like asking them to not be southern anymore. It’s nearly impossible! And trust me—I know—because I am one. However, it is a widely known fact that both fried foods and sweet tea are terrible for your overall health, and the health of your teeth. Fried foods are often attributed to increased risk for heart disease and stroke, but they are also packed with sugars and starches that attach to your teeth and don’t want to let go. Both fried foods and sweet tea (as well as other popular sugary drinks) contribute to tooth decay, and overall poor health. I tend to agree with Dr. Moore, a dentist in San Antonio, TX, who says, “A tooth’s worst enemy is acid.” Acid can be found right in many of our favorite Southern foods and drinks (Coke and sweet tea), or can be produced by the bounteous bacteria in your mouth that love to latch onto sugar and convert it to acid. It then causes tooth decay. Brush at least two times each day, for two minutes each time. And then call us to schedule your dental check-up so that we can make sure everything looks great!